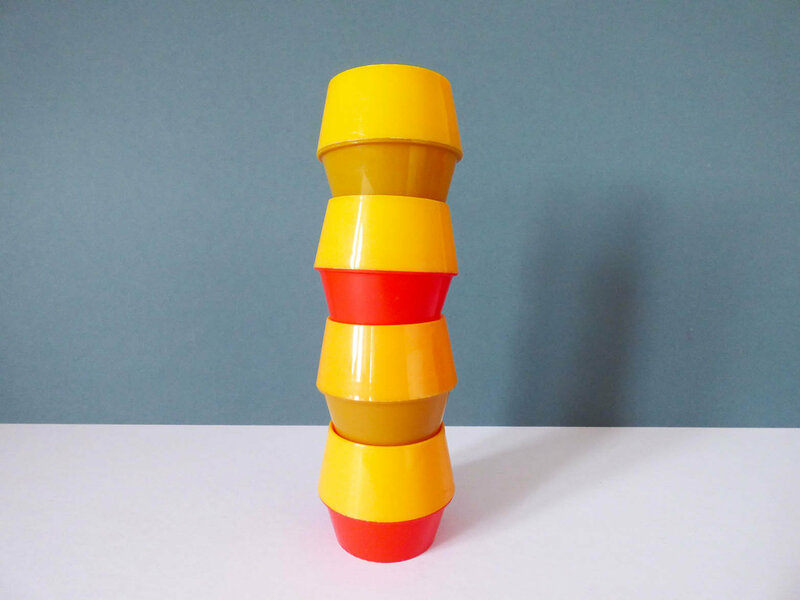 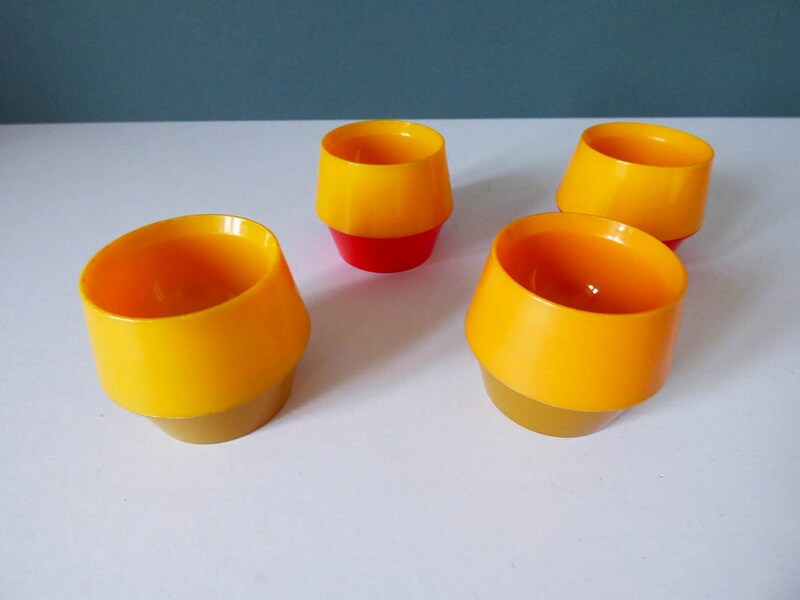 A wonderful rare set of space-age egg cups created by Hammar Plast of Sweden, the design is known as "Odd". 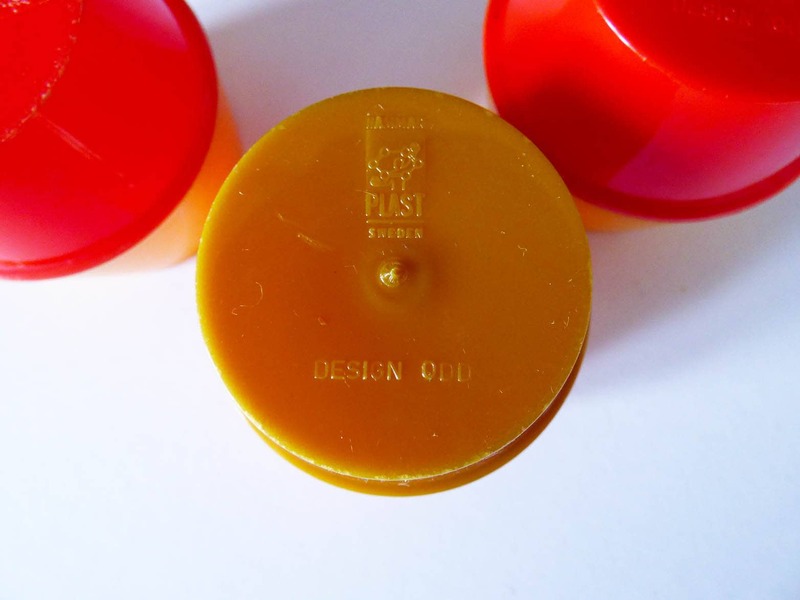 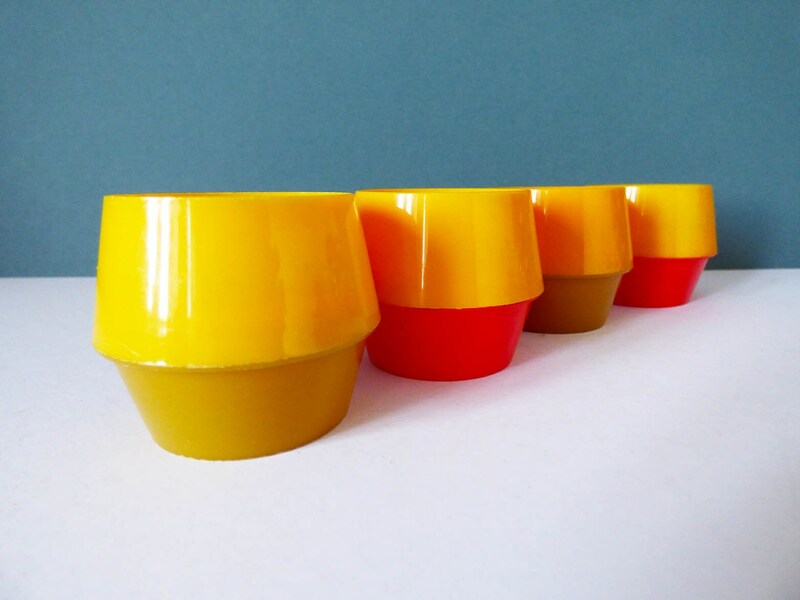 The egg cups are created from hard plastic in super bright yellow, red, and olive green. 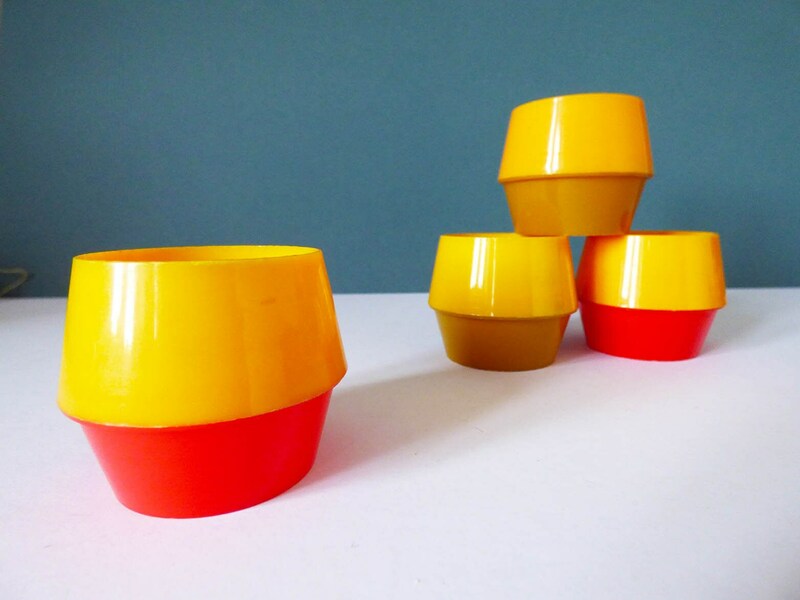 Each one is marked to the base" Hammar Plast Sweden Design ODD"
A super find and a great addition to any retro home. 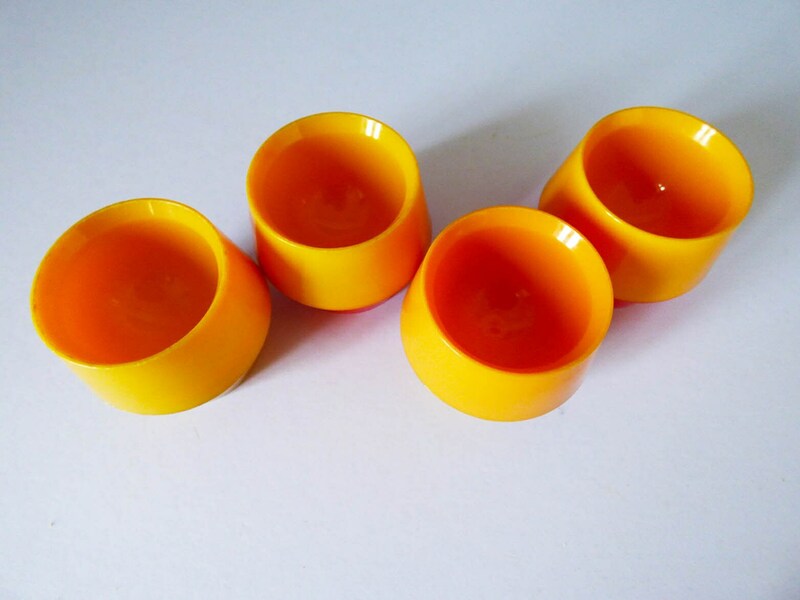 Each egg cups measures 4.2 cm tall 5.2 cm in diameter. 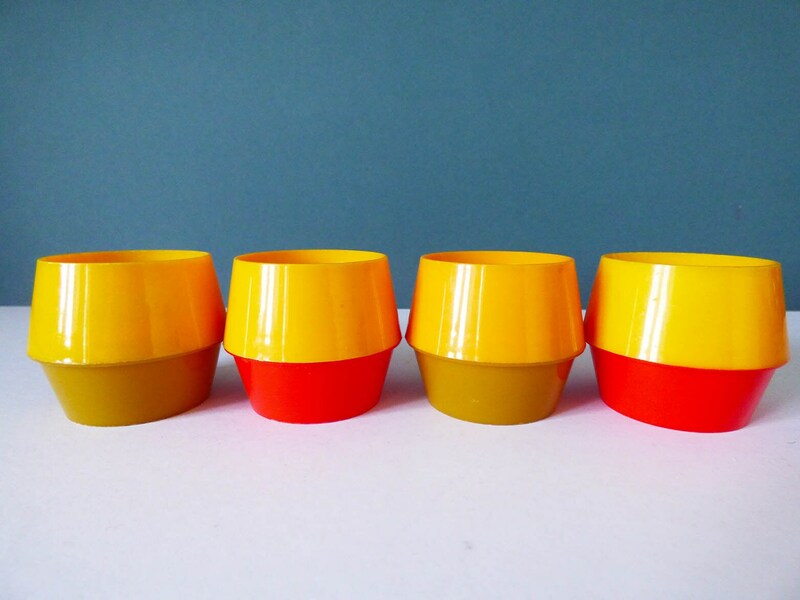 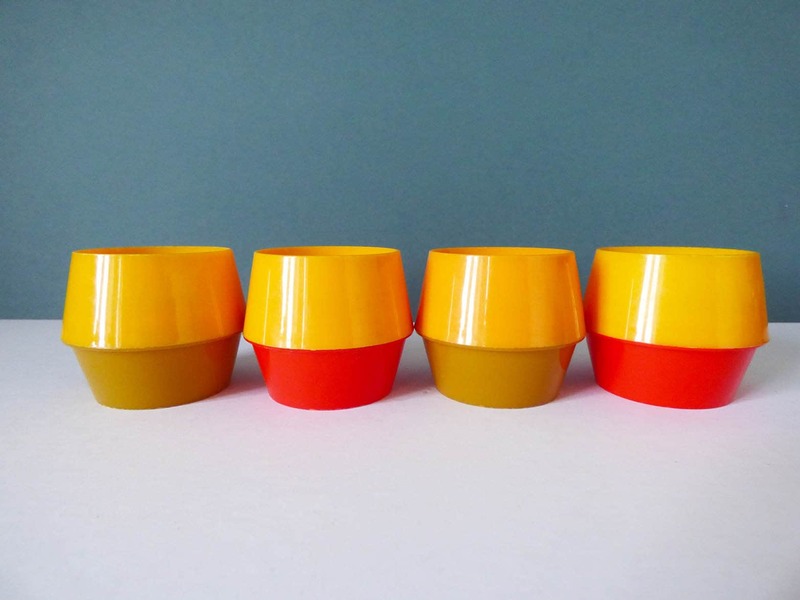 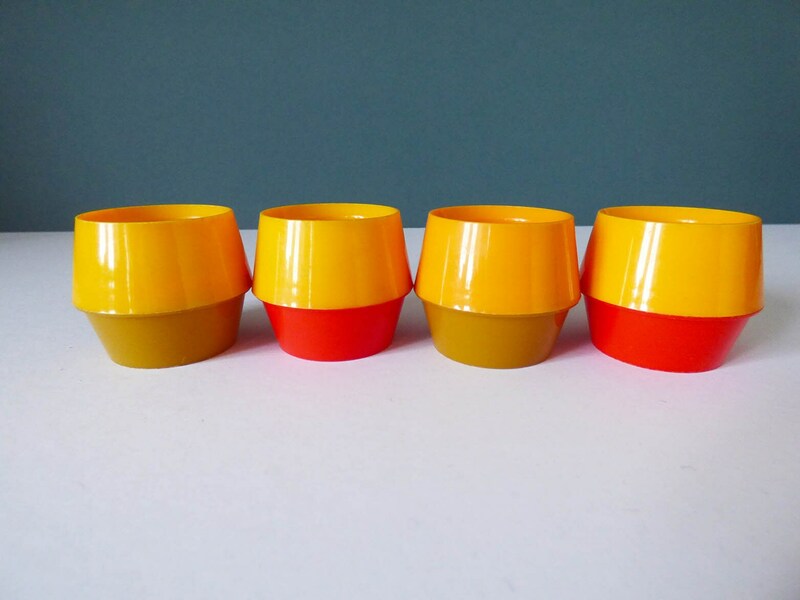 The condition of these egg cups is good considering their age, but being made from hard plastic the edge rim is a little worn, the bright yellow part of one eggcup is also a little brighter than the others.